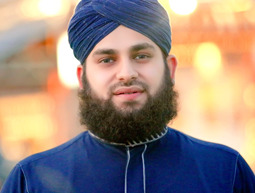 Hafiz Ahmed Raza Qadri is one the well-recognized Naat Khu’wans of Pakistan. He is famous having a marvelous accent which attracts his fans all over the world. He is like a living legend and an asset for Islamic World and our beloved Homeland. Hafiz Ahmed Raza Qadri Naats promotes struggle and efforts of our dear Prophet Muhammad (SAW) and praise ALLAH Almighty in regards of Hamd & Naat Khuwani. He has done an eminent part in the development of Sanna Khuwani field. He gets emotionally involved while doing Naat Khuwani that immensely creates a deep affect on his fans and listeners. Some of the latest, popular and most loved Hafiz Ahmed Raza Qadri 2015 Naats include Unki Mehek Ne, Taiba Se Agaya Hu, Nabi Dete Hain, Kalam e Baahoo, Nabi Ka Jhanda Rahe Salamat to name a few. HamariWeb gives you an opportunity to listen and see Hafiz Ahmed Raza Qadri Video Naats available online on their Naat Sharif section. This Ramadan you can listen and download Hafiz Ahmed Raza Qadri New Naats online with ease. We have updated latest Hafiz Ahmed Raza Qadri 2015 Naats in audio and video versions. Some of the popular Hafiz Ahmed Raza Qadri 2015 new Naats includes Unki Mehek Ne, Taiba Se Agaya Hu, Nabi Dete Hain, Kalam e Baahoo to name a few. You can download Ahmed Raza Qadri Naats Mp4 format online free from our website. You can also find out latest and famous collection of Hafiz Ahmed Raza Qadri Naats 2015 on our Naat Sharif page.